2015 Show of the Year JRAY Winner for Dramatic Musical, Miss Saigon, performed by Huntington Beach APA. 2015 Show of the Year JRAY Winner for Comedic Musical, Thoroughly Modern Millie, performed by Mira Costa High School. 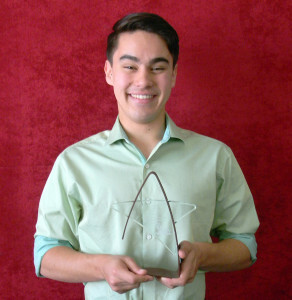 Kelsey Kato, 2015 JRAY Actor of the Year. 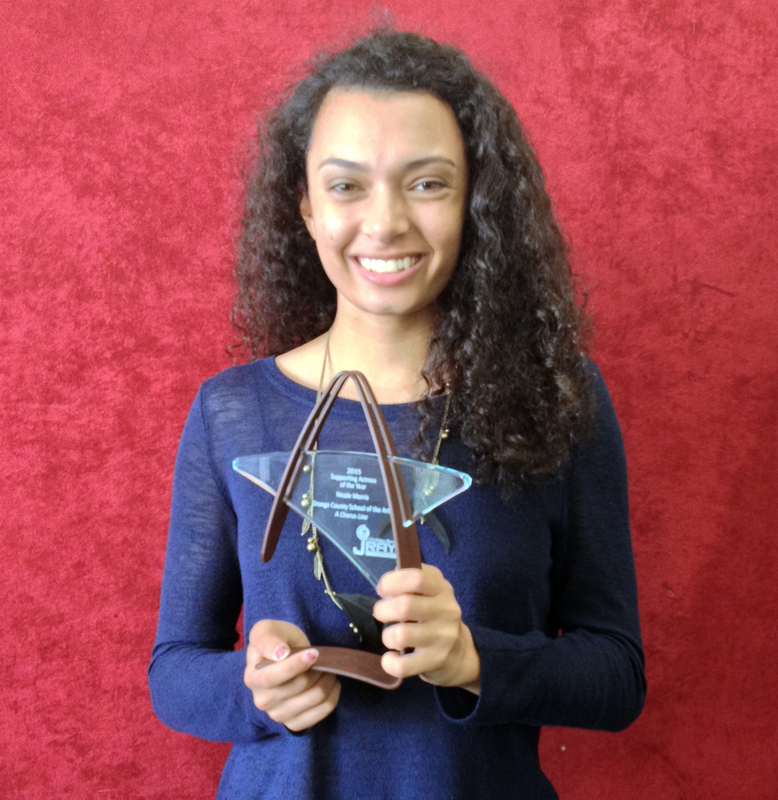 Nicole Morris, 2015 JRAY Supporting Actress of the Year. Kelsey Cato, who played the Engineer in Huntington Beach APA’s “Miss Saigon”, and Nicole Morris, who played Diana in OCSA ‘s “A Chorus Line”, each won $1500 cash and a trip to New York where they will undergo four days of intensive training with Broadway Professionals and be showcased before Broadway and National Tour Casting Directors. The awards were presented by the John Raitt Awards for Youth (JRAY) event held in Fullerton’s Plummer Auditorium Saturday, May 23, 2015. The JRAY also presented $1000 college scholarship assistance to four Orange County students: Fernando Cardenas, Yorba Linda High School; Kelsey Gagen, OCSA; Jacquelyn Cutts, Tri-School; Lulu Pellizzari, La Habra High School. In the first five years of the National High School Theatre Awards competition in New York, the JRAY had two first place winners and one second place winner—more than any other program in the entire USA. 2014, the first year of affiliation with Broadway Artists Alliance, Kyra Johnson,the JRAY Actress of the Year winner, was singled out by one of the casting directors and signed to play Sophie the daughter in the national tour of ‘Momma Mia” starting August 2015. The JRAY, sponsored by FCLO Music Theatre, presented over 200 awards to deserving theatre students from twenty-four high schools Saturday, May 23, 2015. Below is a list of the winners and nominees in each award category. John Reed Walnut High School Oliver! Heidi Salas Walnut High School Oliver! PLEASE CLICK THE LOGO TO VIEW Scenery and Props Rentals. Formerly FCLO Music Theatre Costume Rentals, now Staged Cinema Wardrobe Rentals. Click on image to view information about Costume Rentals.